No Credit Needed, Low Easy Payments, and Instant Approvals! Take Home Layaway...No Credit Needed! You’ll love how easy it is to furnish your home! We have a wide selection of furniture in our virtual showroom at the store and we guarantee the lowest prices in town. Browse our wide selection of living room furniture sets for incredible savings. 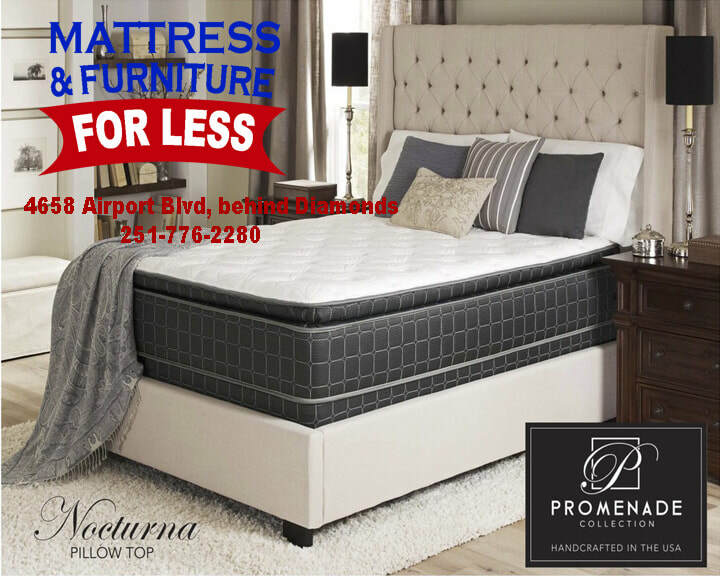 Mattress & Furniture For Less has what you’re looking for at the lowest prices guaranteed. At Mattress For Less, we have a very simple concept…to provide a quality mattress with an exceptional warranty at the cheapest price humanly possible. Which is why 4 out of every 5 people that step foot in our store leave with a mattress. Ready to save $$$? Call or come see us today! © 2019 Mattress and Furniture for Less | Site designed by Mobile Web Design.